The Outdoor Faucet Splitter will allow you to simultaneously use a Misty Mate Misting System and your standard garden hose. Available in a 2-pack only for $9.99. 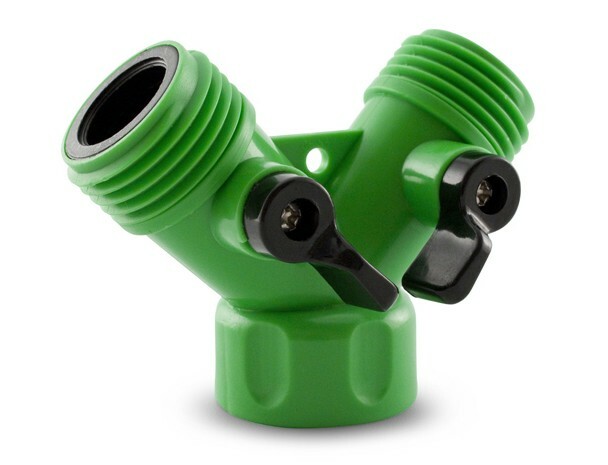 The Outdoor Faucet Splitter will allow you to simultaneously use a Misty Mate Patio Misting System and your standard garden hose. The individual On/off valve will allow you to use either faucet individually, or at the same time. • Adaptable to any ¾” spigot or garden hose. • Compatible with ALL Misty Mate Patio Misting Systems.